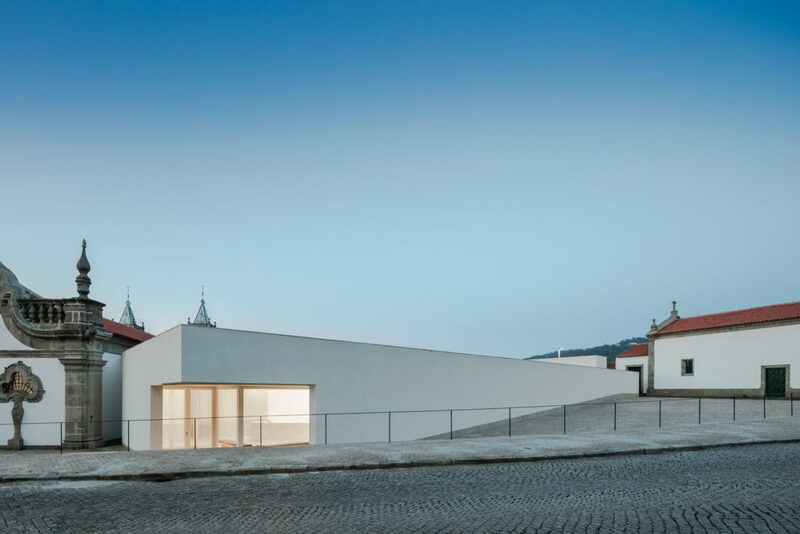 The present text relates to the project for the construction of the International Contemporary Sculpture Museum (MIEC) and rehabilitation of the Municipal Museum Abade Pedrosa (MMAP), that the Municipality of Santo Tirso intends to hold on the site that it owns. Respecting and following the preliminary program delivered by the Municipality, the proposal is based on the construction of a new building to house the MIEC collection and renovation of the building where currently operates the MMAP. The connection between the two buildings is punctual and although functionally connects both, it allows to keep them independent in form and language. The aim is to access both museums by a common entrance through the new building. It is intended with this approach, create a unique customer service – atrium – with access to two museums that although they have different programs, they share some common areas. The design of the new museum took into account the exception site where it is located, as well as the definition and adaptation to the surrounding environment and the Monastery of São Bento, building in which currently operates the Municipal Museum Abade Pedrosa. The Monastery of São Bento set from the beginning the premises of the volumes of the new Museum. The new building found the cornice of the lower limit of the Monastery as its maximum level, so as not to disturb or to overlap to this historic building, which will have to establish a physical relationship of continuity. This connection is made through an “arm” that starts in the main volume. For this connection take place, it was demolished an existing annex where, in our view, does not dignify the image of the Monastery. The definition of volumetric proposal resulted from the intention of defining the square access to the new museum and also the old museum (Municipal Museum Abade Pedrosa). 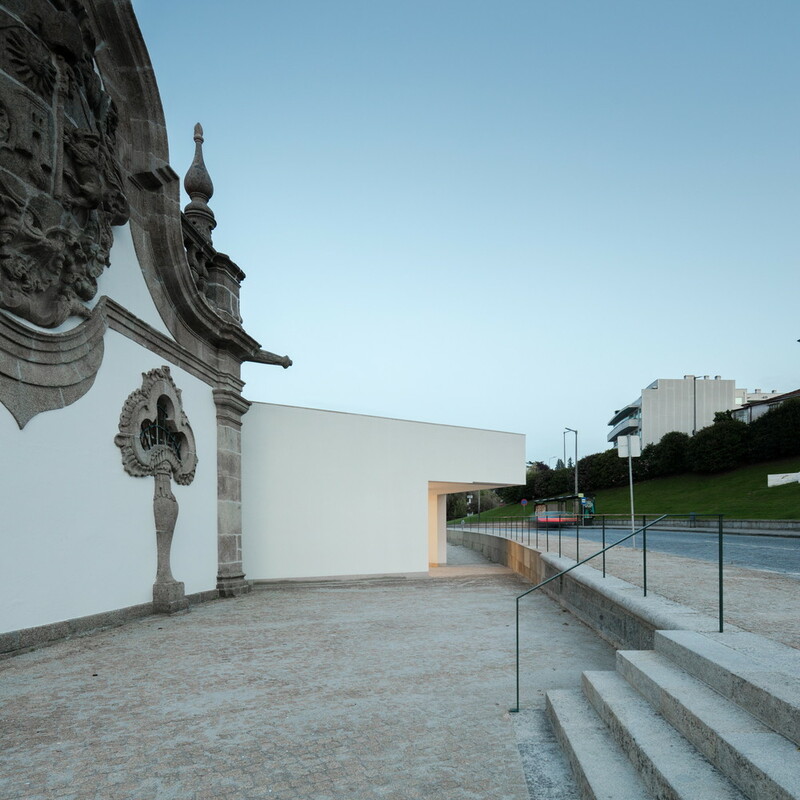 From this premise, the new museum MIEC develops parallel to the existing north wall, releasing the south area to the promenade that faces the street Unisco Godiniz. Introduction of natural light to the exhibition spaces on level -1. The selected scheme for the building implantation takes on particular meaning in the functional organization of the museum. From the main entrance, facing the old museum, we access to the lobby that connects with the Municipal Museum Abade Pedrosa, with the reception and the vertical accesses. The pavement heights have continuity with the Monastery of São Bento. The documentation center that works as exhibition area and computer center. This division has an emergency exit to the main square, through the service entrance of the building. In the basement, detached from the area of implantation of the MIEC and east side of the chapel, is located technical room reserved for mechanical building installations. The option distancing and implementation of technical room below street level, is to try to minimize visual disturbance and noise produced by the machines next to the chapel and buildings of the museums. Constructively the new museum consists of concrete walls coated inside with high density plasterboard (required in exhibition rooms); on the outside was used ETICS system with high density mineral wool, coated with reinforced flat plaster and painted white, such as the surrounding buildings. A granite paneling sets the base of the museum also visible in existing buildings. The interior walls are made of high density gypsum with metal partitioning. The interior walls are protected, mostly by a marble panelling in the public areas, or a marble skirting in exhibition areas. In the technical or service areas walls are protected by a wooden paneling to the height of the lintel of the door. The slabs are mixed of reinforced concrete on iron profiles. Apart from the technical and service areas where it was applied self-leveling flooring or granite, the material used in the floor is marble. All areas will be properly waterproofed and insulated. The waterproofed outdoor decks will be in Caverneira yellow granite. The window frames are made of wood with double glazing. The roof of the new museum (MIEC) visually exposed to the high levels of the city was subject to a surface treatment using ceramic tiles. 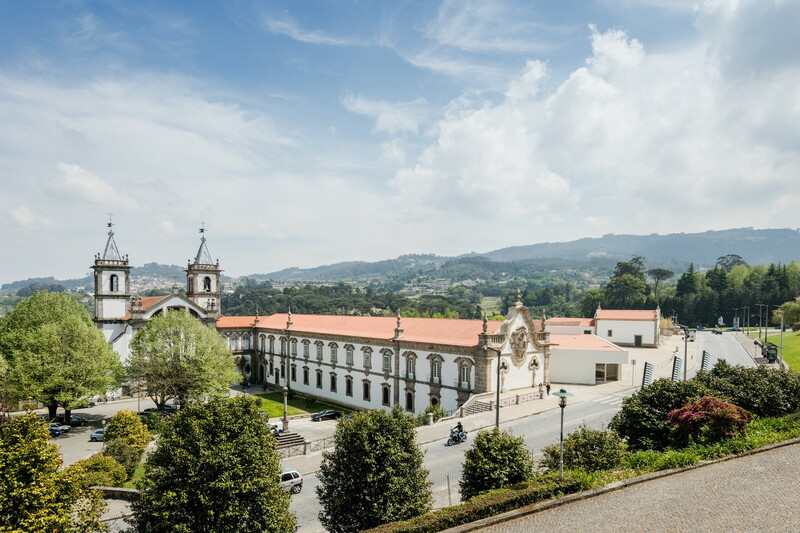 The Municipal Museum Abade Pedrosa is located in the former guesthouse of the Monastery of São bento, a building integrating the heritage complex called – Monastery of São Bento, still classified as a National Monument. West, Abade Pedrosa square, that set the forecourt of the church and the convent building. The building has two floors, but only the top floor, at the level of the street Unisco Godinis, belongs to the Museum. Of rectangular plan and longitudinal development, it is organized to the west by a corridor which occupies the entire building length and to East by several rooms of different sizes and with specific links between them. The access to the rooms is carried out through the corridor several doors, sometimes more than one door for each room. The building’s roof consists of a gabled roof, ceramic tile, supported by a brown wooden structure. To preserve the architectural features of the existing building and replace the elements that return its original composition. Provide the museum with necessary structures to regular operation, particularly with respect to issues arising from the approval of the Security Plan, the conditions for the reception of the public and exhibition conditions of the temporary and permanent exhibitions areas. 2 – a circulation corridor with a designated area for the media exposure and access to all rooms of the museum. 3 – an auditorium for 56 people with movable furniture in order to allow room flexibility. 4 – 7 showrooms, crossed by a route alternative to the corridor, with a glass showcase per room. These showcases simultaneously serve as an exhibition box, as storage, as space required for access to technical areas and as a supporting element to the lighting of the rooms.